In just about a month my newest book, Holiday and Celebration Bread in Five Minutes a Day, will hit the shelves in stores near you and online book sellers. This is the bread book I have always wanted to write, because I got to bring my pastry chef ways to the pages, with all the sweet and decadent holiday breads from around the world. 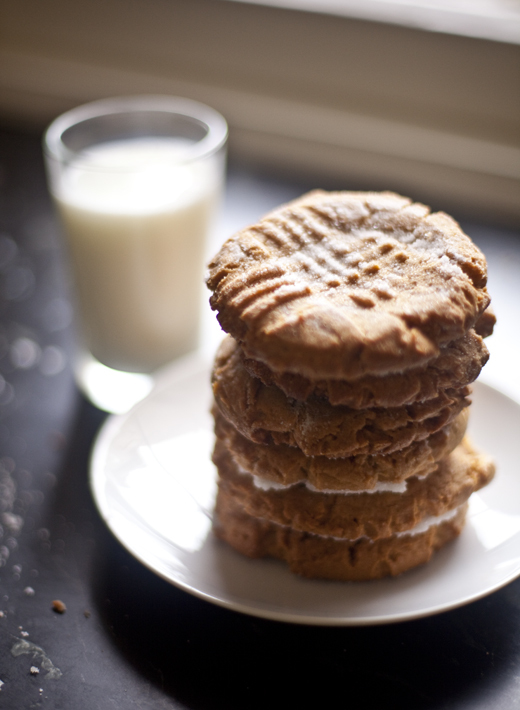 Below I have shared just a few of the photos from the book that represent so many cultures and their gorgeous breads. I even got to take some of the photos for this book, along with my friend and fellow blogger, Sarah Kieffer. For the first time we have color photos throughout and gorgeous how-to pictures of the process, so even the more intricate breads (like flaky croissants and Danish) are simple to make. This is the 7th book in our 5 Minute Bread series and Jeff and I could not be more excited or prouder of this one. I hope you enjoy it as much as we loved putting it together. My 15-year-old is not one to spend time cooking, so when he does I watch with delight. Turns out he’s been paying attention. 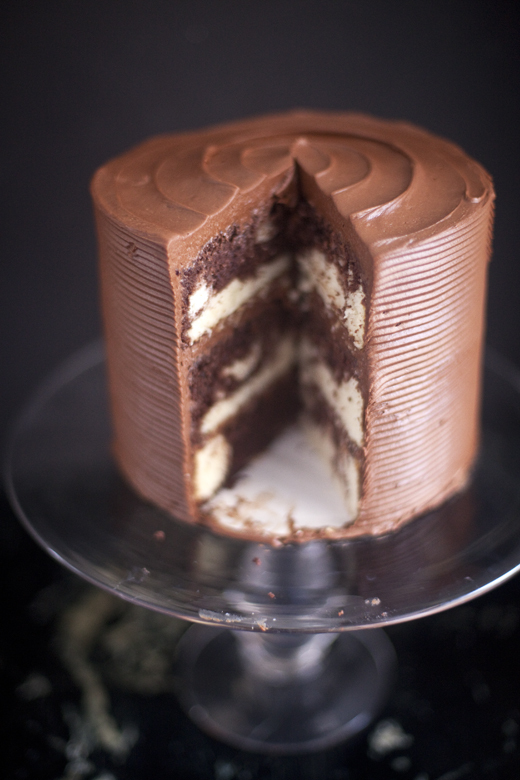 He moved with confidence and ease as he made this chocolate marble cake, so there is hope he’ll leave home someday with at least a few skills in the kitchen. Truth be told, on this occasion I’d asked him to bake me a cake, because he owed me one. That, by the way, is a euphemism for the fact that he’d done something I wasn’t entirely thrilled with. He invited his friend over to help and they set out to bake me a cake with all the intensity and focus of real pastry chefs. It was awesome and tasty! My new Bread Baking Class on Craftsy! I am super excited to announce my new Craftsy bread baking video class. We’ve made a video of the most popular breads from our books with lots of tips and techniques for getting a professional loaf every time you bake with very little time or effort! It is the perfect companion to all of our books. In the video I’ll use a single dough to create the various breads, but the techniques are useful for all the doughs from any of our books. To see some pictures from my video shoot in Denver and to get 50% off the Craftsy video, visit my bread site Breadin5.com! Last week my husband got a craving for scones. Instead of turning to me, or making them himself, he asked our 12 year old son to bake them. He challenged Charlie to have hot scones ready by the time he left for work the next morning. 7:30am is an hour my boys rarely see, because they are deep in REM sleep. Agreeing to this request was based on one thing, and one thing alone, money. My sons get an allowance, but it isn’t always enough to satisfy all the activities and toys they want, so the thought of a few extra bucks in his pocket was enough to get him out of bed. And, he loves to bake, so it wasn’t much of a hardship. The night before, he picked a recipe from Baking with Julia, set up his mise en place (a fancy way to say ingredients and equipment), then set his alarm for 5:30am. He woke me up at 6am, so I could sit in the kitchen, bleary eyed, with my coffee and answer any questions he had. It was quite something to watch him navigate the recipe. He didn’t know what a pastry blender was or what cornmeal looked like, so the instructions of “cutting the butter into the flour with a pastry blender until is resembles cornmeal” meant nothing to him. I showed him a jar of cornmeal, handed him the pastry tool and off he went. 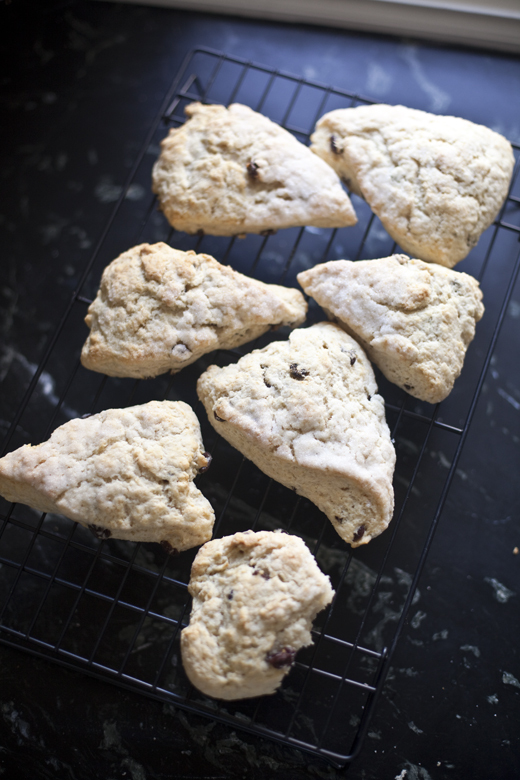 Scones are really quite easy to make, but it does require a gentle touch, so they don’t come out too tough. He did it perfectly. Yesterday, when he was still a little boy in my mind (oh, who am I kidding, he’ll always be my little boy) we baked a pie together. It was a gift, made even sweeter by the events that followed today. 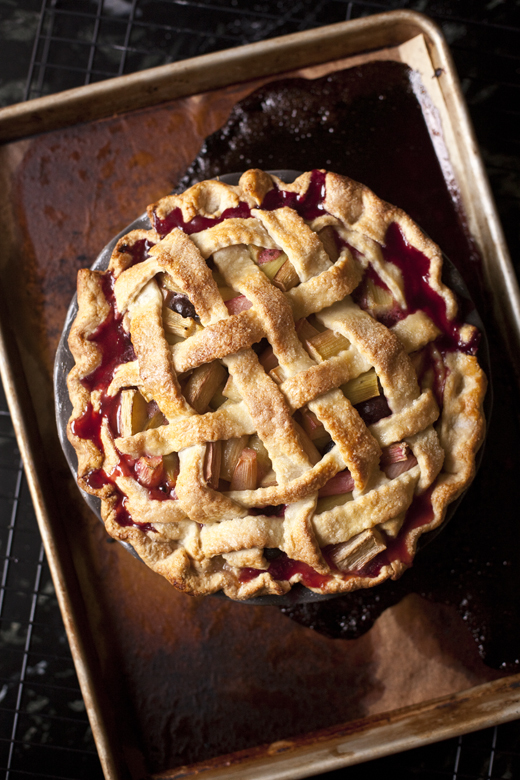 He made the dough, a filling of rhubarb and cherries and he created the lattice. I sat back, trying not to take over, and just watched in amazement as he figured it all out. It was a thing of beauty to see him moving so confidently in the kitchen and the pie, well you can see for yourself, the kid has skill. I was in heaven. Today I am a mess of emotions and I’m so happy to have a piece of his pie to make me smile.